We’re excited to announce a group discussion for next month. 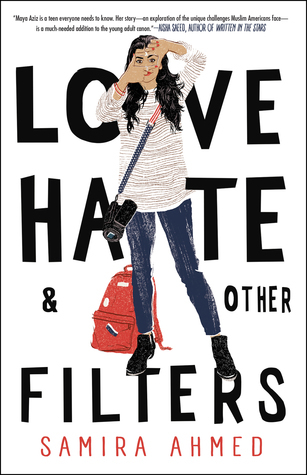 We’ll be reading Love, Hate & Other Filters by Samira Ahmed. Summary: Seventeen-year-old Maya Aziz can’t wait to graduate from her small town high school. She dreams of studying film in New York City and kissing a boy (or, maybe two). Her parents forbid both. While she wrestles with parental expectations and her own desires, Maya’s world is rocked by a horrifying act of domestic terrorism that ignites an outbreak of Islamophobia that threatens to alter the course of her life forever. If you want to hear more about the book straight from the author, here is an interview with Bookstr from the day after the book was released. We’ll post our discussion on February 21st. Pick up a copy and read along. We’d love to hear your thoughts.